Congratulations to Kate, she's the winner of a copy of The A-MAZE-ing Book of Mormon! Kate, please send me an email with your address and the name you'd like me to dedicate the book to and I'll get your prize in the mail right away! Like Kate, the guy* in today's gag is a winner! Only his reward isn't all he thought it would be. 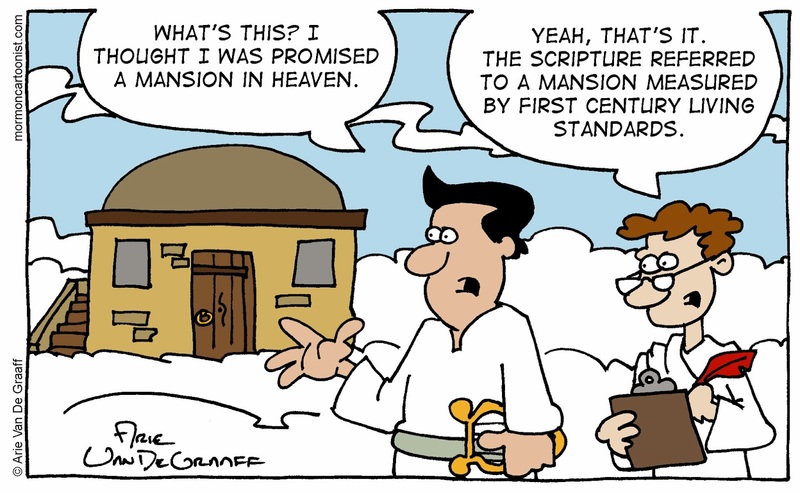 This gag raises an interesting doctrinal question, just what does the Savior's promise of mansions in heaven constitute? Here in the 21st century we have quite a different opinion of what a mansion looks like than the people of 1st century Palestine. To them, anything bigger than a ten by ten single room must have seemed like a mansion. In the end, I doubt it really matters. One of the vices we're trying to conqueror here on earth is our longing for material things. I suspect no matter how small our mansion in heaven--should we qualify for that reward--it will be sufficient for our needs. *The guy in today's gag is totally this guy. When I came up with a gag set in heaven, I knew I wanted to honor Kevin Beckstrom's Good Heavens strip--just another one of his many side-projects. OK, this may be my new favorite! My son came in and said, "Dad! 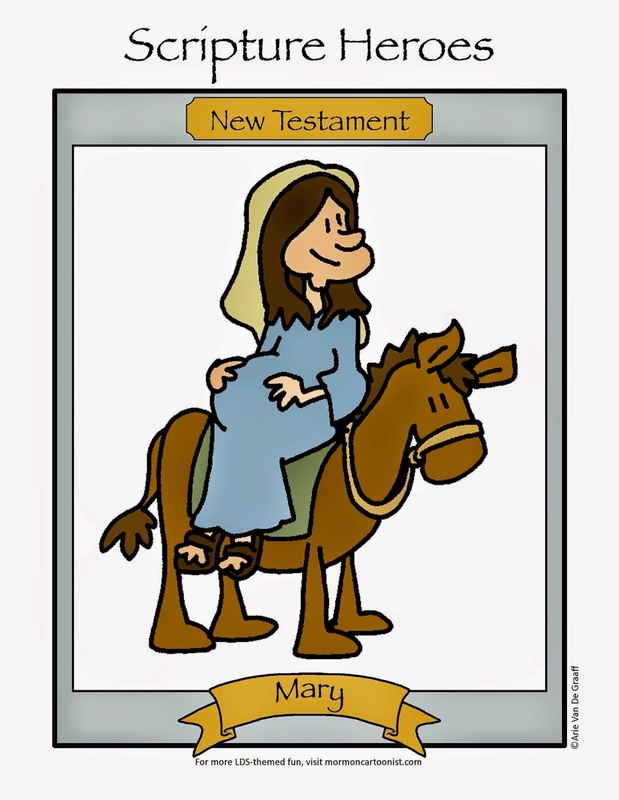 Did you see Arie's cartoon? It's Jack and Gustav!" Thanks for the chuckle, and thanks for the mention -- I'll have to get even! I'm glad you approve. It was fun trying to ape your style (the one thing I didn't attempt was the little tuft of hair behind his ear). I read somewhere that the Greek translation of the word "mansion" is really "dwelling" or "apartment," so I think we're all working towards the wrong thing.